What happens when the Xbox One console exclusive, PlayerUnknown’s Battlegrounds (PUBG), teams up with the world’s best vehicle customization shop, West Coast Customs? You get a one-of-a-kind, tricked out PUBG Bus that debuts at San Diego Comic-Con and cruises all summer-long to PAX West as part of our Xbox One Summer of PUBG program. The best part? The PUBG Bus will be given to one lucky fan at the end of the summer. Famous for their hit reality show showcasing unique customization work on celebrity vehicles, the crew at West Coast Customs (WCC) have been long-time Xbox fans and were eager to take on the challenge of creating the PUBG Bus. It’s been awe-inspiring watching the WCC crew in action as they brought every creative detail to life, paying homage to Xbox and the game that defined the Battle Royale genre. 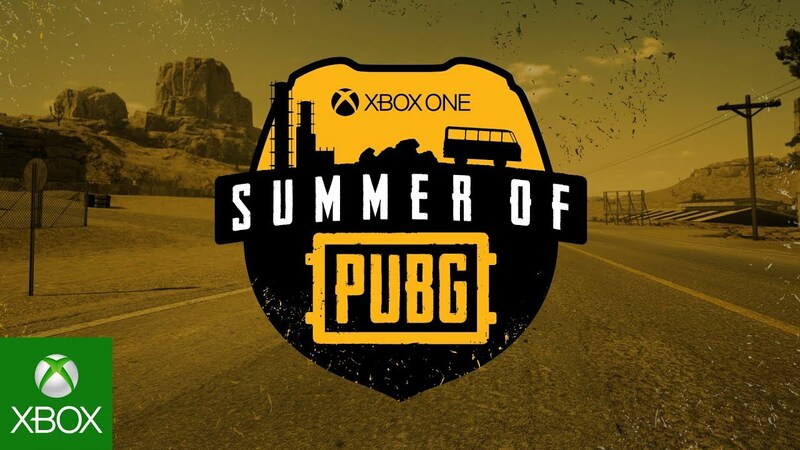 This summer, the Xbox One Summer of PUBG experience will be coming to San Diego Comic-Con and PAX West in Seattle, with surprise stops and guests in-between. First up, San Diego Comic-Con. Stop by “The Experience” at Petco Park between July 19-22 where the PUBG Bus will be featured outdoors along with plenty of things to do (and win). You won’t even need a badge as “The Experience” is open to the public. Come grab some free swag, win PUBG prizes, and stick around for a very special Xbox Live Sessions from inside of the PUBG Bus featuring Brendan “PlayerUnknown” Greene on Thursday, July 19 from 5-6 PM PST. Looking to upgrade your ride? Xbox is giving gamers a chance to drive off in the actual PUBG Bus designed by West Coast Customs! From now until September 3, enter the Xbox One Summer of PUBG sweepstakes for your chance to win a variety of prizes including (but not limited to) the new Xbox One X PUBG Bundle, a 55” Samsung QLED TV, and for one lucky winner the PUBG Bus itself! Enter at www.summerofpubg.com and see details for additional ways of entry. For updates on Xbox One Summer of PUBG, follow #summerofPUBGsweepstakes on social and look out for future articles on Xbox Wire.